Sebastien Goulard is the founder and coordinator of OBOReurope. He works as a consultant at Cooperans, a public affairs consultancy specialized in sustainable development, governance and Sino-European relations. 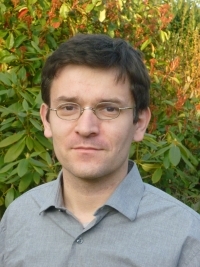 Sebastien Goulard holds a doctorate in economic and social development from Ecole des Hautes Etudes en Sciences Sociales (School for Advanced Studies in the Social Sciences), Paris. He has been involved in several European research programs focusing on sustainable urbanization in China.